Steve’s breakdown: Well, it’s hit the fan in New York, New York. 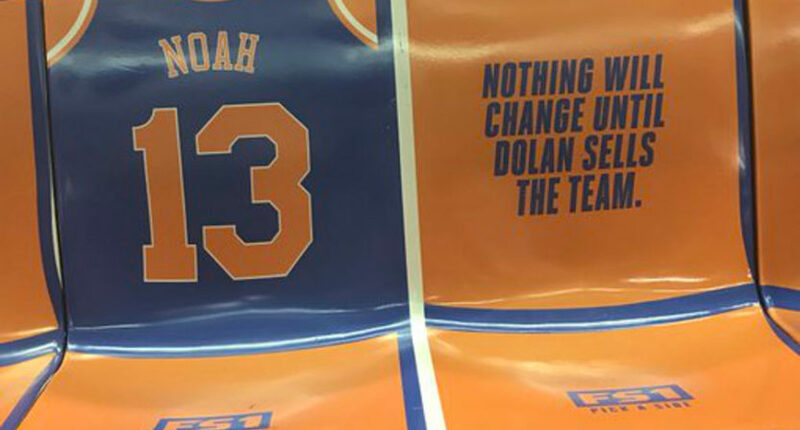 TV station FS1 ad campaign slamming the Knicks has the team owner, Jim Dolan, in an uproar. It’s pretty hilarious to me because Dolan is an ex-client and, well, he’s no picnic. Anyway, some agency executive is going to get crewed out and maybe fired. Worth looking into it. NEW YORK, NY: The rather-odd FS1 New York City subway ad campaign calling the Knicks “hopeless” has apparently ticked off Jim Dolan, the executive chairman of MSG (which owns the Knicks, the Rangers and Madison Square Garden itself) and MSG Networks, and Dolan has taken his concerns right to 21st Century Fox executive chairman Rupert Murdoch. Knicks owner Jim Dolan called Rupert Murdoch on Tuesday and was “furious” about the new Knicks’ Hopeless ad campaign sponsored by FS1 that is running in New York City subways, an industry source said. Update: Fox has pulled the ads. Regardless of your opinion on the ads themselves, it’s pretty hilarious that this spawned a call from Dolan (who controls and runs the companies in charge of the Knicks, Rangers, Madison Square Garden itself, plus the various MSG Networks properties) to Murdoch (who controls and runs the vast list of assets of both News Corp. and 21st Century Fox, including everything from Fox’s movie studios to the Wall Street Journal to Sky to Harper Collins to The New York Post to other media properties in the U.S., Britain, and Australia). It’s understandable why Dolan’s upset, but Murdoch probably has at least 30 different companies that occupy more of his time and thought than FS1, and it seems extremely unlikely he cares much about the Knicks or FS1’s advertising campaigns. But hey, he may take an interest in response to Dolan, and that may not end well for whoever dreamt this up. Beyond that, though, there are a whole lot of questions about these ads. For one, there’s the discussion of the ads using images of specific players and of Knicks’ jerseys. That would require some form of license, and while Fox presumably has some sort of deal to show NBA highlights on their shows, using players’ images in a print advertising campaign would seem different. They possibly have a license there as well, but it’s worth pondering if it requires approval on how those images are going to be used, or if they can do whatever they want with them. It’s hard to see anyone signing off on something that puts “Hopeless” next to images of particular players like Tim Hardaway Jr. and Joakim Noah. 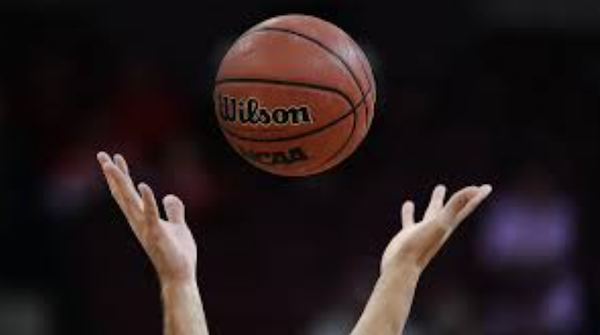 For the past 20 years, the NBPA has effectively “rented” the licensing rights to the league and shared in the revenue, according to Jordan Schlachter, the NBPA’s chief marketing officer. The union has chosen not to renew the agreement in hopes of having “a lot more control” over the players’ likenesses and images, Schlachter said. Beyond that, it’s worth wondering what the goal is here, and if Fox is actually achieving it. Fox doesn’t have NBA rights, so they’re presumably trying to promote FS1’s debate shows (and the “pick a side” messaging fits with that), but there’s nothing about any specific debate show here, so it’s a bit of a confusing message. Wouldn’t it have made more sense to specifically promote First Things First, the lone FS1 show from New York City and one that might be talking more Knicks than the endless Cavs-Warriors discussion on Undisputed? This comes after Fox hired famed advertising agency Wieden+Kennedy in January, a firm that worked with ESPN for numerous years (including on the This Is SportsCenter campaign). They’ve been involved with numerous Fox campaigns, including the “Every game is everything” college football promos, and it’s notable that some of those toed the line and spawned complaints (such as Nebraska objecting to the “Children of the Corn”-themed ad about their school). And they’ve created some controversy in non-Fox projects, too, such as the pop-up food truck serving “Donald Trump’s BS” (baloney sandwiches) last fall. It’s unclear if they’re associated with this specific campaign. At any rate, though, this ad campaign certainly got attention for both FS1 and the Knicks. The question is if that attention is going to be worth it.